CHINA. 2013. Altai Mountains, Xinjiang. 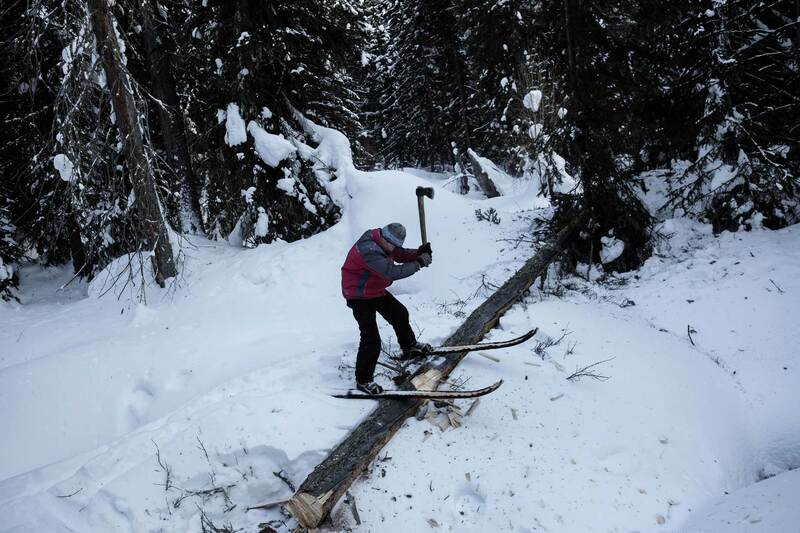 Batwulza chopping firewood while on his skis.